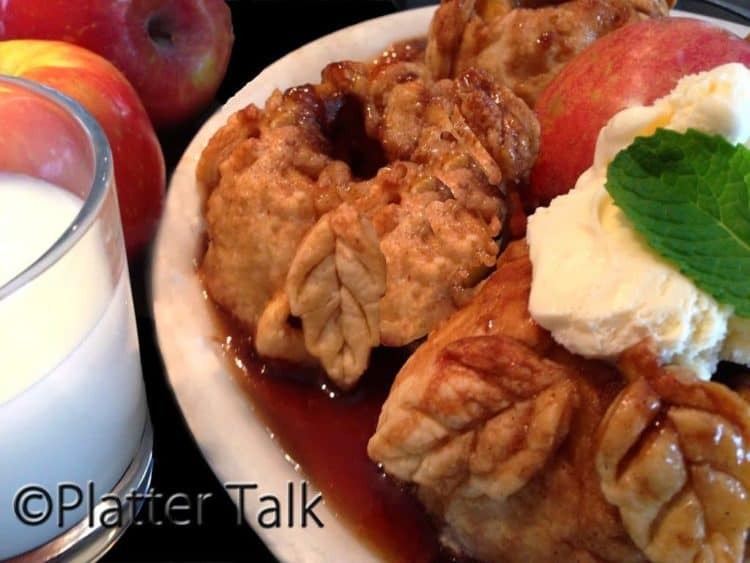 Close cousins to apple pie, these apple dumplings are small packages that are full of flavor and goodness. They serve as a fantastic dessert, easy to make and something quite out of the ordinary of every-day treats. Once again, I am nothing less than completely amazed to think that from a ball of dough and a couple of ordinary apples as depicted above, can something incredibly tasty and pleasing come, as shown below. Give this recipe a try and leave me a comment below. I would love to hear your thoughts on these! 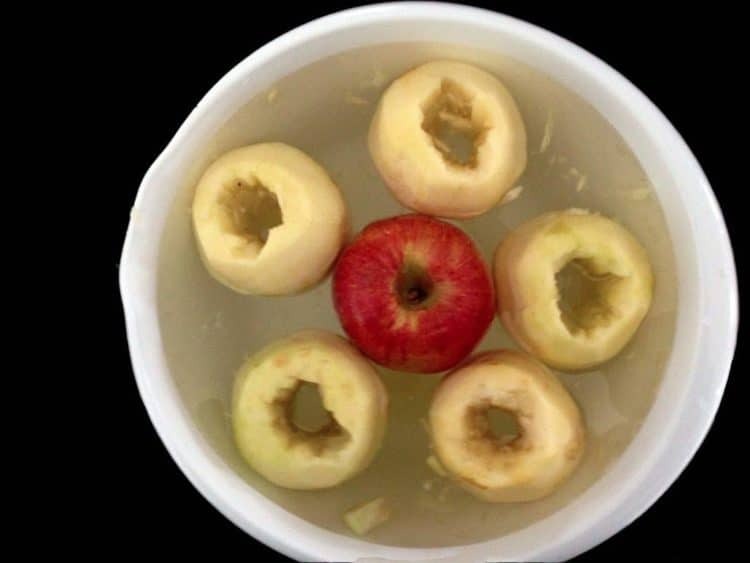 Pare and core apples. Leave whole. Cut in shortening until particles are about the size of small peas. 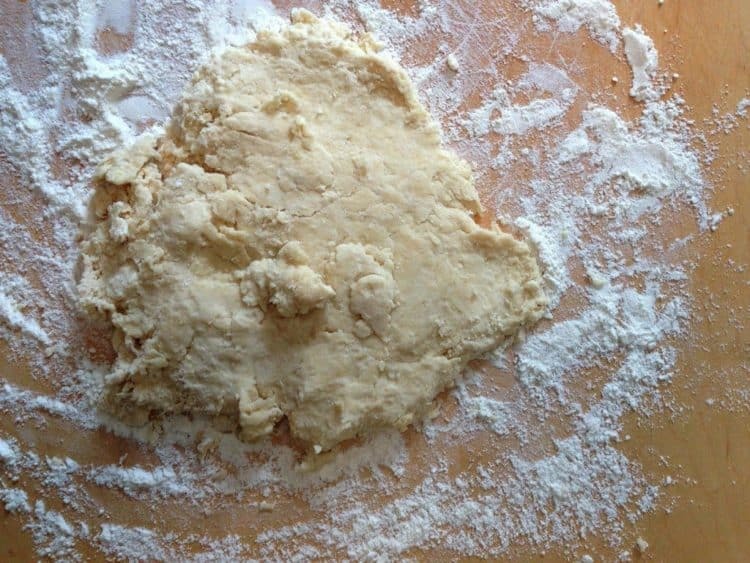 Sprinkle milk over mixture and press together lightly, working dough only enough to hold together. Roll dough as for pastry and cut into 6 squares and plane an apple on each. Coat cavity of apples with sugar and cinnamon. Pat dough around apple to cover it completely. Fasten edges securely o to[p of apple. Place dumplings 1 inch apart in a greased baking pan. Prepare sauce as described below and pour over dumplings. Combine brown sugar, water, and spices. Cook for 5 minutes, remove from heat and add butter. Bake at 375 degrees F. for 35 to 40 minutes. Baste occasionally during baking. 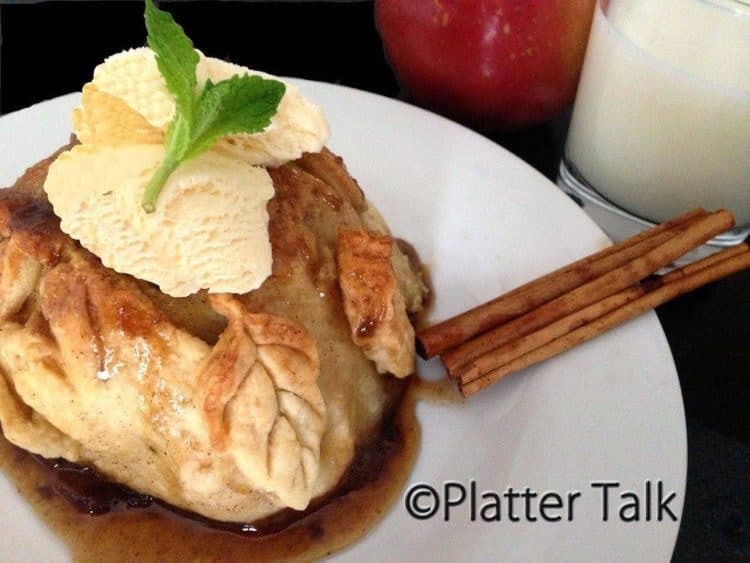 I love apple in a dessert and these dumplings look incredible! Thanks so much Jayne. 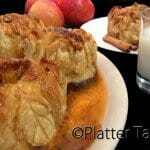 These were our first set of apple dumplings and we had a blast making them! I love almost all apple desserts! 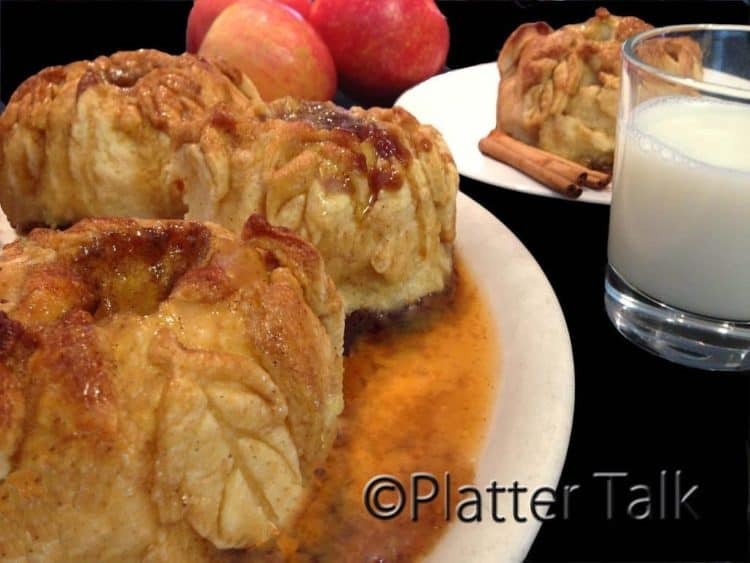 I have never tried apple dumplings, but after seeing this I think I need to fix that immediately! Especially with vanilla ice cream on top. Melissa, try this dumpling recipe soon! These would be super impressive at my next dinner party! Maybe even Thanksgiving (we are going really small this year with Thanksgiving). I love these! And, with a big scoop of vanilla ice cream – yum! Thanks so much, Debi. I think you would love these dumplings! Perfect time for apples, my kitchen smells with apples right now. These dumplings must be so good! Thank you, Ilona; wish you were here to try some of these dumplings!! Oh wow! I’ve never had apple dumplings before. They look incredible. I love the leaves on the outside. Oh my gosh these look AMAZING! 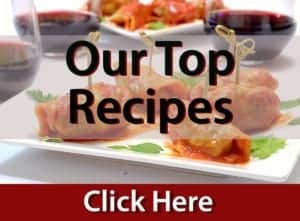 Are the dough coated apples cooked in the sauce, or is the sauce added after? I’ve never had apple dumplings before. They look delicious though! I wish I had one in front of me to eat – they look fantastic. Um… why DID you wait so long? This is one of my favorite fall desserts. I can just smell your kitchen Dan! I am so jealous! I haven’t had one of these in ages. The pictures are making drool. Thanks for sharing these. G’day to you, Joanne! I wish you could have tried one of these as well. Thanks so much for stopping by and taking the time to leave your great comments! G’day! These look terrific Dan! Wish I could come through the screen and try one of these right now! Love these! My Grandmother used to make them for us after we went Apple Picking! these really brought back memories for me! Thanks for posting such a great post! I love your comments. These are timeless, for sure. I’m happy you enjoyed the post and thanks for stopping by! Thanks so much for the comment! Looking forward to following your work! Thank you for these great comments. 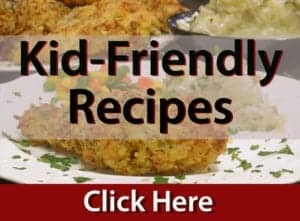 These are so easy to make, and so enjoyable to eat! Give them a try! Yum. I love dumplings and will make this recipe today! 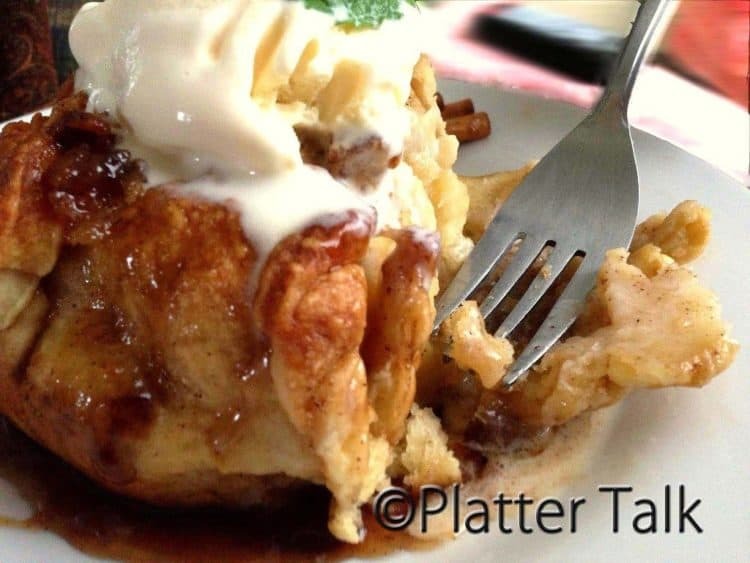 Nothing better than apple dumplings, anytime! Love these. I know what my girls and I will be working on this weekend! This recipe sounds wonderful, thank you for the beautiful post! These look amazing! I haven’t had apple dumplings since I was a child. Can’t wait to make these! !